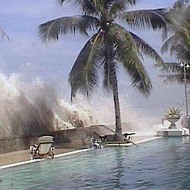 Natural disasters claim thousands of lives every year around the world. 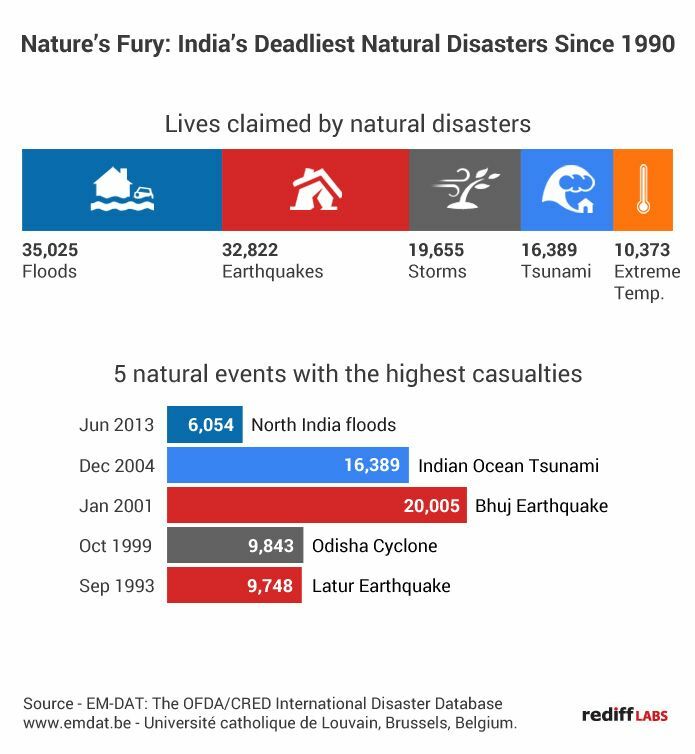 The infographic, above, shows the number of lives lost in India in natural disasters since 1990. The data, provided by International Disaster Database, tells us that floods claimed over 35,000 lives in India in the period, more than any other type of disaster. Earthquakes were a close second resulting in a loss of over 32,000 lives. Also shown are the five most notable natural phenomena that resulted in the highest number of casualties. The Bhuj Earthquake of January 2001 was the worst with over 20,000 lives lost followed by the Indian Ocean Tsunami of December 2004 which claimed over 16,000 lives. What is the hygiene score of Anganwadis in your state?